It doesn’t get much cuter than cross-species nursing. 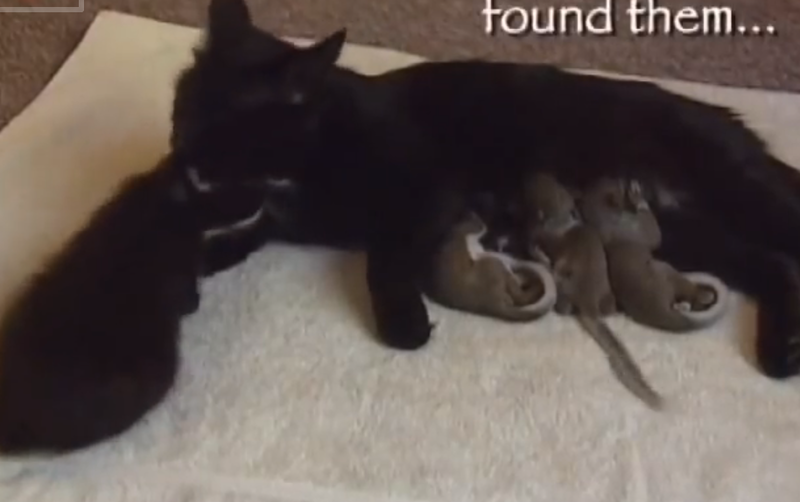 Check out this video of a cat and her kittens taking care of and nursing a baby squirrel. The squirrel was orphaned and found a home with this cat family, playing with the kittens and even falling asleep cuddled up with one of them. I’m wondering if the daddy cat will be willing to baby-squirrel-wear to help out. Indiana Fails on Cosleeping...Again.Tony Hawk Rides the Hoverboard!